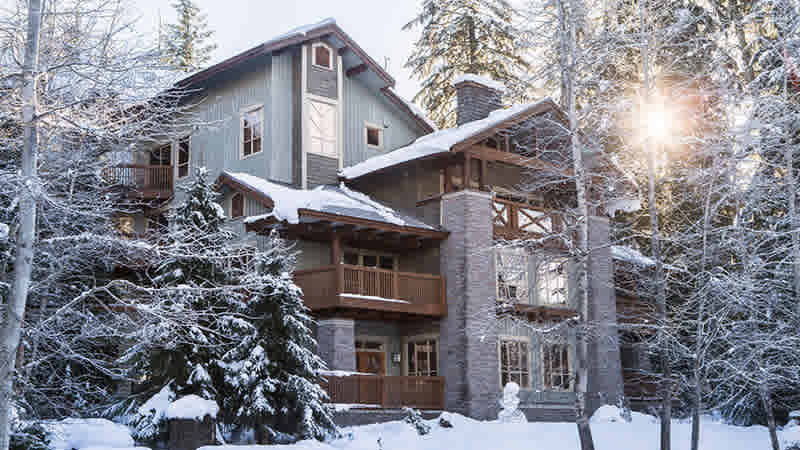 Horstman House is a luxury condominium lodge located in Whistler’s Upper Village. During the winter months you can ski back to the lodge via the Home Run trail on Blackcomb Mountain. Horstman House is conveniently located on the free shuttle route which will take you to the lifts and Village in under 5 minutes. In the summer, the Horstman House offers a unique location just steps away from the Chateau Whistler Golf Course and trails at Lost Lake. The Horstman House is blissfully away from the pace of the Village and is the perfect base camp for activity during the day. Amenities include a kids games room and an adults game room with a wide screen TV and a billiard table, lounge area with wet bar and a patio complete with barbecue. Relax in the outdoor heated pool, hot tub or workout in the fitness room. The Horstman House provides free internet access. Horstman House offers one, two and three bedroom condos which feature balconies, fully equipped kitchens, gas fireplaces and wonderful forest or mountain views. One Bedroom Suite: This suite features 1 king bed in the bedroom and 1 sofa bed in the living room. Amenities include fully equipped kitchens, in suite washer/dryer, balcony, gas fireplace, 1 full bathroom and free wireless internet access. Two Bedroom Suite: This suite features 1 king bed in the master bedroom, double bunk bed in the second bedroom and 1 sofa bed in the living room. Amenities include fully equipped kitchens, in suite washer/dryer, balcony, gas fireplace, 2 full bathrooms and free wireless internet access. Three Bedroom Suite: This suite features 1 king bed in the master bedroom, 1 queen in the second bedroom, 1 bunk bed in the third bedroom and 1 sofa bed in the living room. Amenities include fully equipped kitchens, in suite washer/dryer, balcony, gas fireplace, 2 full bathrooms and free wireless internet access.